If you are seeking unique corporate accommodation to make your event truly memorable then accommodation at Paddocks offers the wow. Corporate accommodation at Paddocks is far removed from the anonymous sameness of many standard hotel rooms. Instead Paddocks accommodation combines authentic 17th century character with outstanding levels of comfort and luxury. The accommodation is carved out of a glorious 17th century barn and within close proximity three Shepherd Huts nestle around an outdoor barbecue area in a superb valley position with animals grazing around. •	Generous supply of toiletries. We are thrilled with our three Shepherd Huts, named Emu End, Cria Cornor and Reindeer Rest, that add even greater accommodation choice for our guests and definitely provides a unique corporate accommodation experience. 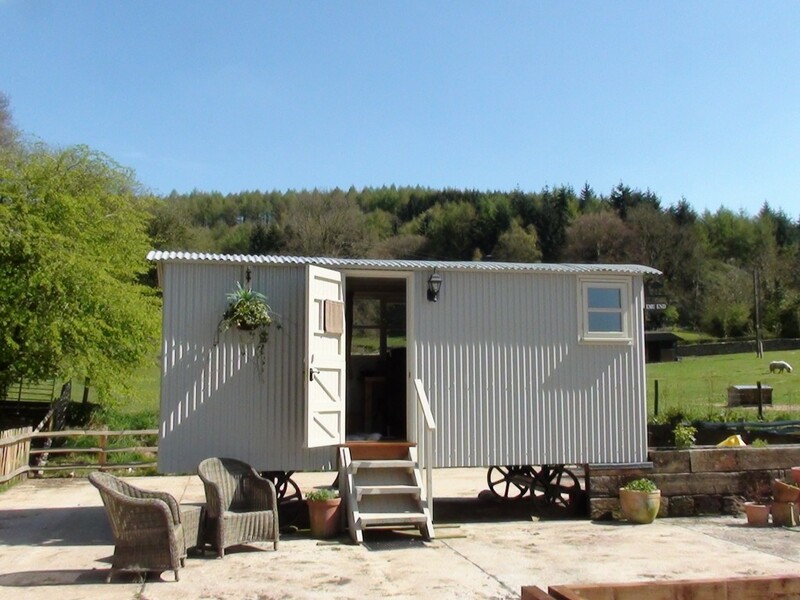 Each Shepherd Hut has its own en-suite bathroom, deliciously comfy double bed, triple aspect stunning views and to top off the coziness each one has a wood burning stove which is lit in readiness for guests returning from a days work. A complementary quality Port to sip whilst watching the flames is a lovely way to end the day and settle in for a peaceful sleep. Here are just some of the corporate accommodation at Paddocks ready to be experienced.